From Huntersville North Carolina we drove to Kitty Hawk. On the way there we took a side trip to the town of Bath North Carolina, the oldest incorporated town in North Carolina. 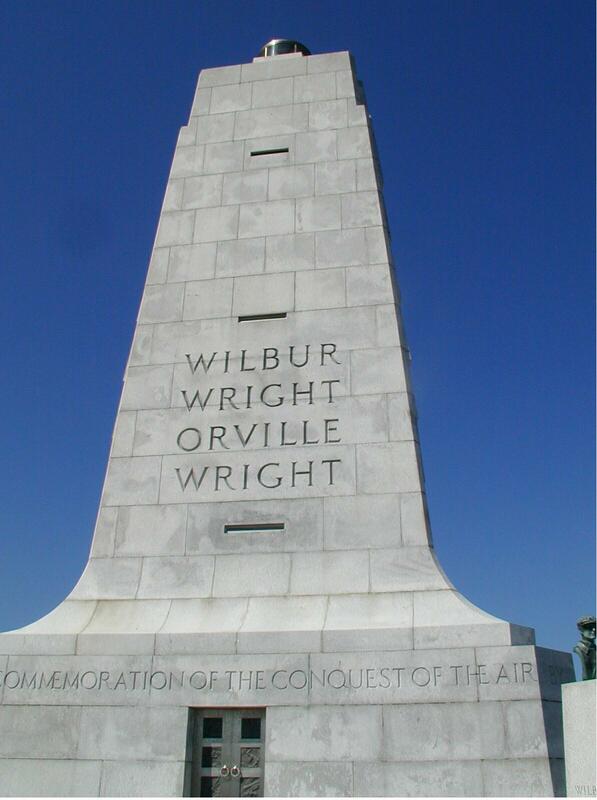 From the Wright's brothers' first flight to the first manned space flight was only 66 years! The astronauts took a piece of the Wright brothers' first plane with them into space. The large rock in the first picture is the starting point (lift off) of the first flights. The marks to the left of the stone show the distances of each flight.